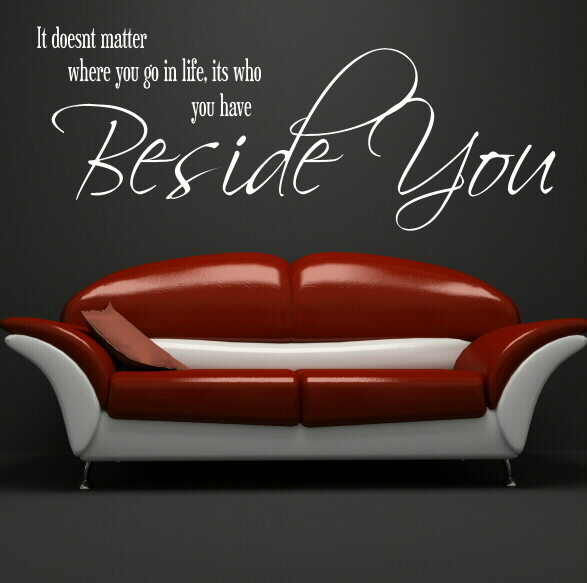 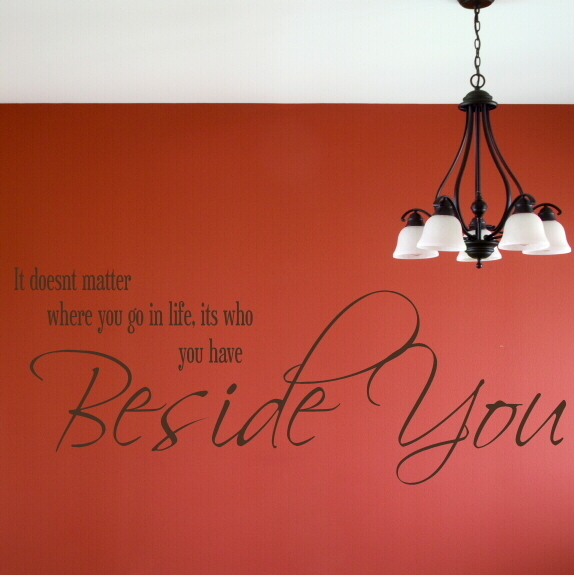 In a quality finish that gives the appearance of being painted onto your wall, this quote reads; ‘It doesn’t matter where you go in life, it’s who you have beside you’. 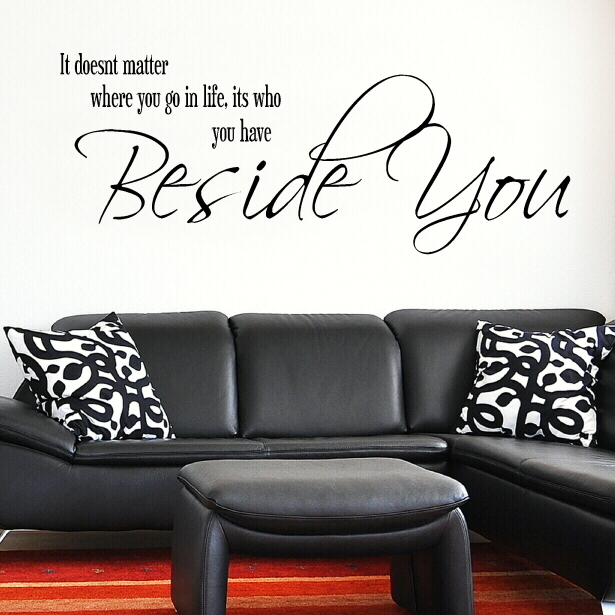 It’s the ideal embellishment for any home and allows you to share the happiness you feel with guests and loved ones. 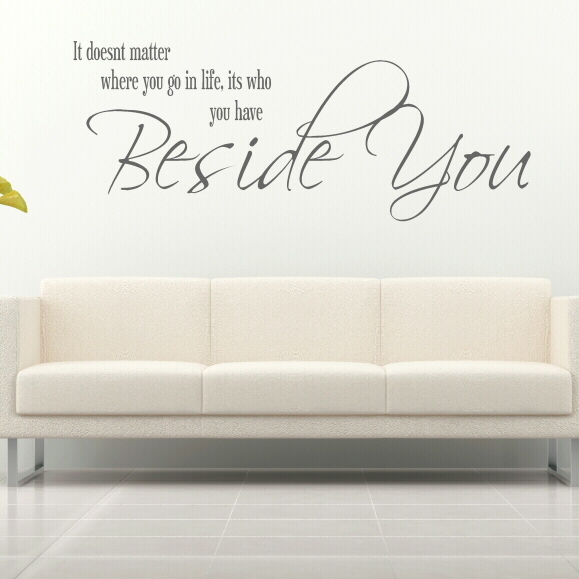 Wall stickers are ideal in any position or room, they can brighten a forgotten corner, enhance a theme or take pride of place in a central location. 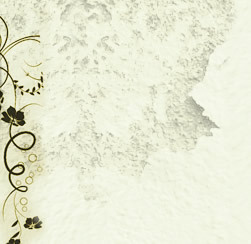 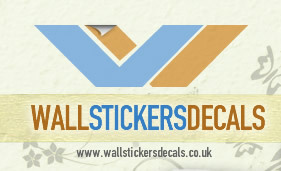 These decals can be purchased in three different sizes and a wide range of contemporary stylish colours.